In my not so humble opinion as a JAFA, that's just another fabulous Aucklander for anyone not in the know, the Auckland Writers Festival is a good time. As someone who likes reading you might think it'd be a sin for me to say otherwise. Truthfully though, I wouldn't be harping on about it now if I thought it was not worth anyone's time. This year they have one helluva lineup; Roxane Gay, Rupi Kaur, Chris Kraus, Ashleigh Young, Paul Beatty and more. Today I'm going to talk you through seven events I think you should know about, plus I have a very exciting lil' giveaway so stay tuned to the end of this post. Walk On High, free: One of the booksellers in Unity Books alerted me to this fun event taking place on High Street. From 6.30-8.00pm, a series of events will be happening. Insta-essays, poetry, theatre and games are just some of what can be expected. It sounds fun and like an unforgettable evening to explore the streets and get immersed in some unique experiences. Best of the Spoken Word, ticketed: Five of New Zealand's finest voices will come together to showcase their creative work, engage in a little improv. There'll even be a few guest appearances from the likes of Rupi Kaur, Paul Beatty and Ivan Coyote. If you are a poetry enthusiast then I imagine this one will be right up your alley. The Art of the Essay, free: As soon as I saw this event in the programme I was like 'yes please, I am there'. Roxane Gay+Ashleigh Young sharing their wisdom is enough to entice me. I don't think I need to say much more here. You get the gist. Pop Up: Rupi Kaur, ticketed: I'm going to Milk and Honey, Kaur's Sunday session which has since sold out. Hence the addition of this new event. If you missed out the first time around, you cannot miss this one. 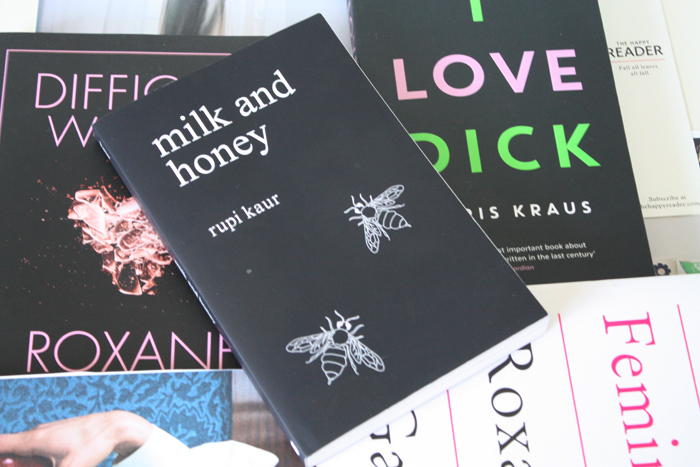 Kaur is a voice to watch and I particularly loved milk and honey. In fact, I revisit it all the time. It's the kind of poetry that stays with you long after you've completed reading it. The Book of Forgiving, ticketed: Mphu Tutu Van Furth co-wrote the aforementioned book with her father, Archbishop Desmond Tutu. Her session sounds fascinating and inspiring, as she'll be delving into her life and the place of forgiveness. I actually want to read this book now too so I'll be hunting that down in the local library. The Song of the Book, ticketed: Music lovers and lyricist enthusiasts, this one's for you. Four of our local songwriters were set the challenge of creating a piece of music, inspired by one of the books featured in this year's festival. As music is all about storytelling, this is the perfect marriage of creative mediums. Difficult Women, ticketed: When I heard that Roxane Gay was headed to Auckland for the Writers Festival, I knew I could not miss out. She's one of my favourite people on Twitter to follow and I love reading her writing whenever I get the opportunity, especially her op-eds. I cannot wait to hear her speak about her work and everything really. Now for the fun part, thanks to the lovely folk at Auckland Writers Festival*, I have a double-pass to Rupi Kaur's pop up event on Friday May 19th to give away. To enter, leave me a comment telling me what you're most looking forward to at the Writers Fest this year and feel free to use the additional entry options in the box below. Please note; you must be able to get to Auckland for this event and will have to collect your tickets from the box office. If you are under eighteen, please get permission from a parent or guardian before entering. This giveaway closes Tuesday 9th May. Good luck! *Giveaway thanks to the lovely people at AWF 2017. This giveaway is not sponsored and all love of literary goodness is my own.